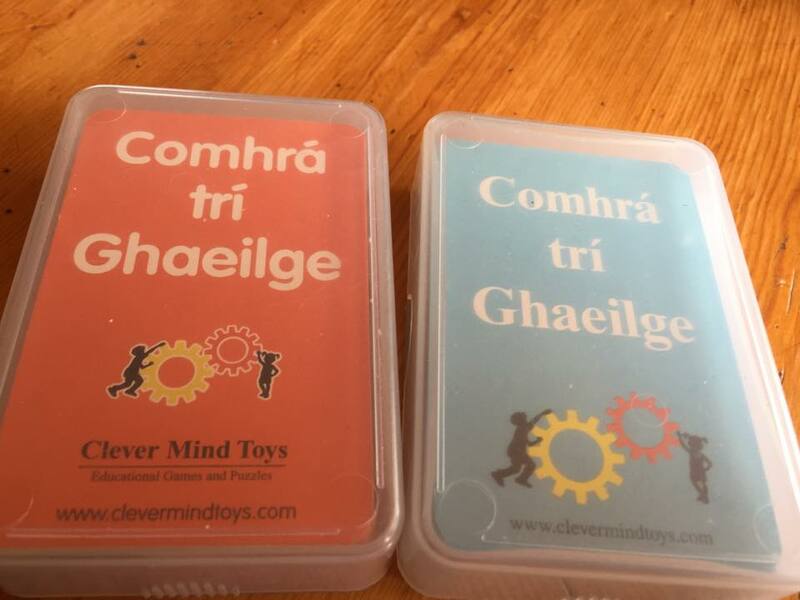 I received these samples of Comhrá trí Ghaeilge cards from Clever Mind Toys recently and I have been meaning to share them with you. 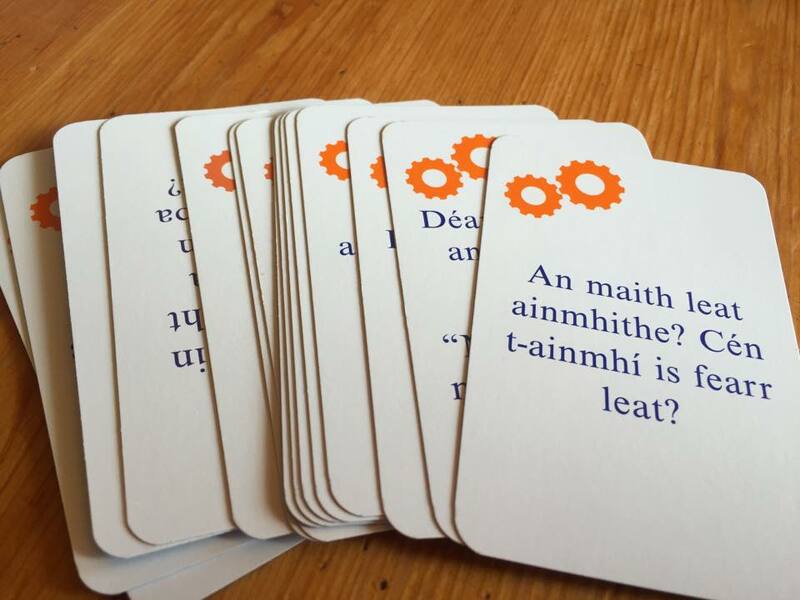 There’s also an Ábhair Ghinearálta, which is a great way to mix it up a bit and ask questions outside of the themes which they may not be expecting. That’s the orange box in a nutshell. The blue box then is age ten plus. Personally, I think they’re more suited to sixth class, but it depends on the class of course. Again, these are divided into themes, and the questions are slightly more challenging, some using the conditional tense. I like these cards because the questions are a little bit different, e.g. ‘An bhfuil leasainm ort?’ or Cén rud is mó a bhfuil bródúil as? And ‘Cén séasúr is fearr leat?’. 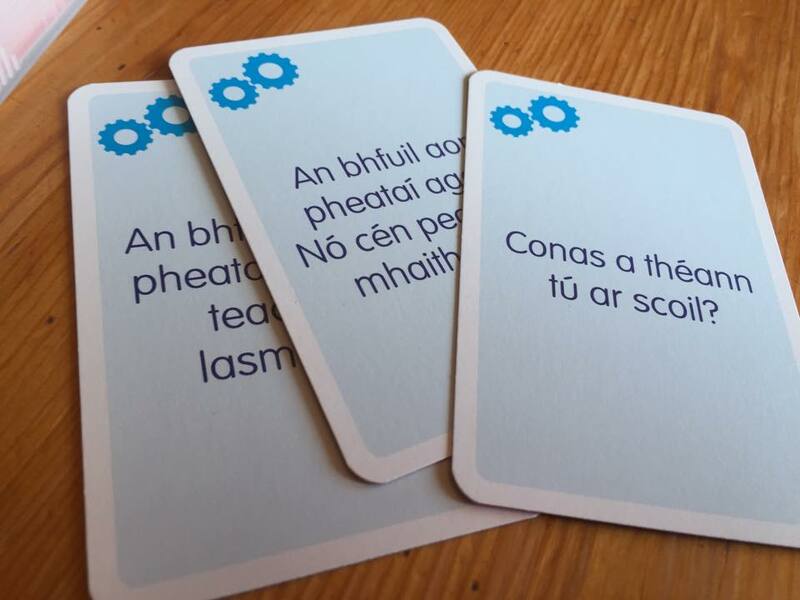 These Comhrá trí Ghaeilge cards would be excellent to use throughout the day, or as a plenary to your Irish lesson. They could be used solely by the teacher as a means of fresh questioning ideas, or indeed by the children. I would divide the children into pairs and have them ask each other the questions on the card. The teacher could circulate the room offering help as they work. They could also go home as homework, to practice an answer for the question on the card with parents/guardians. I love the little plastic box these cards come in, and the good quality of the cards make them durable for the classroom. I am always happy to see a new Irish resource as the choice of Irish resources is remarkably limited unfortunately. I would recommend them for fourth class up, unless you teach in a gaelscoil. Check out their facebook page and website for more information and resources!